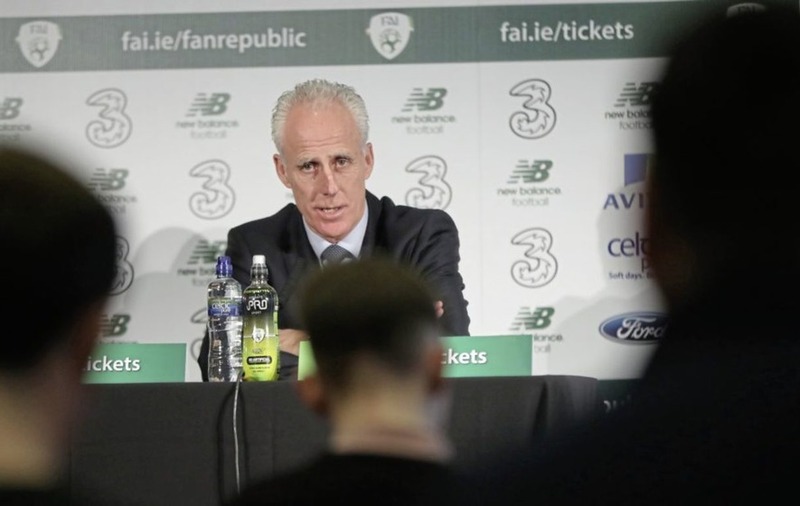 NOVEMBER to March has been a torturous enough road for Mick McCarthy as he gets his second managerial stint with Republic of Ireland and their Euro 2020 qualification bid underway in Gibraltar tonight. The first thing he had to do was convince everyone – perhaps himself, included – that his two-year arrangement before handing over the reins to Stephen Kenny was a good idea. 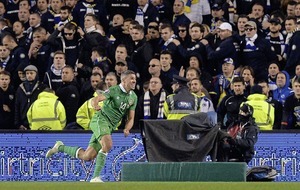 Then there was the forlorn pursuit of Declan Rice who eventually, and somewhat inevitably, declared for England after three friendly appearances for the Republic. Southampton’s Nathan Redmond and Ipswich Town’s Will Keane were mentioned as targets, but getting either to agree to wear the green jersey seems as far away as ever. Patrick Bamford, the talented Leeds United striker, has intimated he will play for the Republic – but not until June. In truth, McCarthy’s had more knock-backs than a kid at an underage disco. Chasing players, McCarthy sighed, was “part of the gig” – but nevertheless a far cry from his first period in charge (1996 to 2002) when he couldn’t find a squad place for players who would now walk into the current side. Burnley’s injury-plagued Stephen Ward announced his international retirement earlier this month, with Sheffield United’s Enda Stevens expected to start as first choice left back under McCarthy. Over the last four months, the affable Yorkshire man has attended umpteen events, pressed the flesh, appeared on The Late Late Show, and flashed his coat-hangar smile for the cameras in a bid to revive interest in the national team. Despite the distraction of chief executive John Delaney’s €100,000 short-term loan to the FAI that has dominated southern news, Abbotstown was a happier place this week. 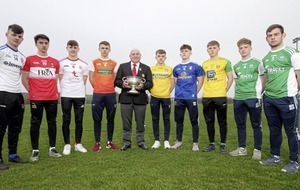 The arrival of a new manager invariably lifts the mood of any squad – but McCarthy’s renowned man-management skills appear to have set the right tone ahead of Ireland’s first competitive game since last November’s scoreless draw in Denmark in the Nations League that brought the curtain down on Martin O’Neill’s five-year reign. As far as first international tests go, Gibraltar would probably be one McCarthy would have chosen himself. The Gibraltar FA was made to sweat on whether or not their modest 2,300-capacity Victoria Stadium on the two-and-a-half square mile peninsula would pass strict criteria laid down by Uefa. On Thursday, Uefa officials gave the venue and the upgraded plastic pitch the green light. The Irish rammed 11 goals past Gibraltar (7-0 and 4-0) during their successful Euro 2016 qualification bid, with Gibraltar playing their ‘home’ games in Faro, Portugal back then. Tonight will be Gibraltar’s first European qualifier on home soil and the fact that it’s being shown ‘live’ on TV on the island has added more hype to the clash. The inaugural Uefa Nations League proved an invaluable competition for minnows like Gibraltar as they recorded uplifting wins over Armenia (0-1) and Liechtenstein (2-1) and at one brief stage had a chance of promotion from the lower rung. Armed by those morale-boosting wins and a plastic pitch, banking the Euro points tonight is expected to be a tougher assignment than the last time the sides clashed in Faro over three years ago. McCarthy’s first squad may be shorn of Shane Long and Callum O’Dowda but when you survey his options, the starting line-up mightn’t look too shabby at all, with potentially four or five English Premier players involved. 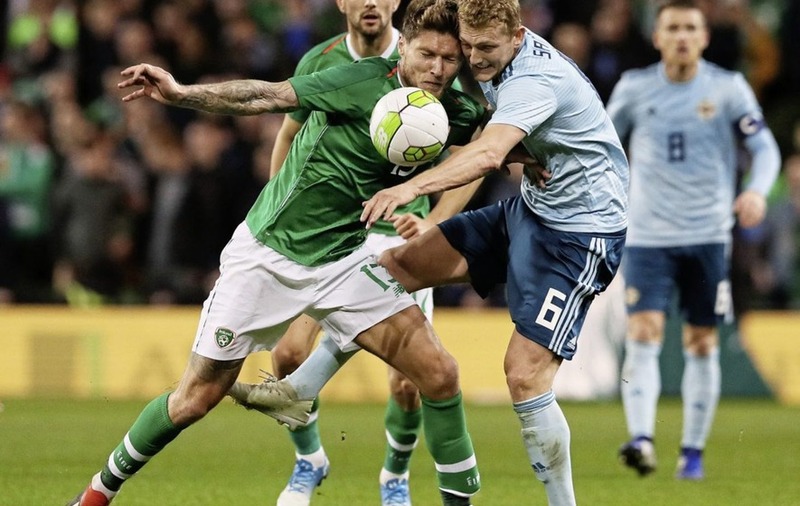 There may be one or two square pegs in round holes in the Victoria Stadium – with defender Matt Doherty expected to play in front of right back and captain Seamus Coleman. 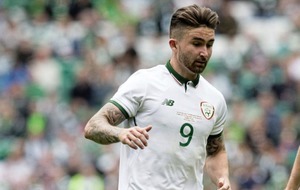 McCarthy has a few permutations in midfield and is likely to pick two from Jeff Hendrick, Harry Arter, Robbie Brady and Conor Hourihane to comprise a central midfield pairing, while Preston’s Sean Maguire and Sheffield United’s David McGoldrick are mooted as the strikers tasked with getting the goals. At yesterday's press conference, McCarthy pointed to Scotland’s humiliating defeat to Kazakhstan the previous day to give his own players a gentle nudge about the potential dangers of tonight’s banana-skin fixture.